The labyrinthine medinas and the constant heckling and haggling in Morocco’s major cities can get a bit too much, so it is fortunate that Morocco also has two magical coasts to escape to. To the north it is bordered by the Mediterranean Sea and to the west, the Atlantic Ocean. With thousands of kilometres of coastline outlining an array of diverse landscapes there are countless beautiful beaches to choose from, each with their own unique vibes. 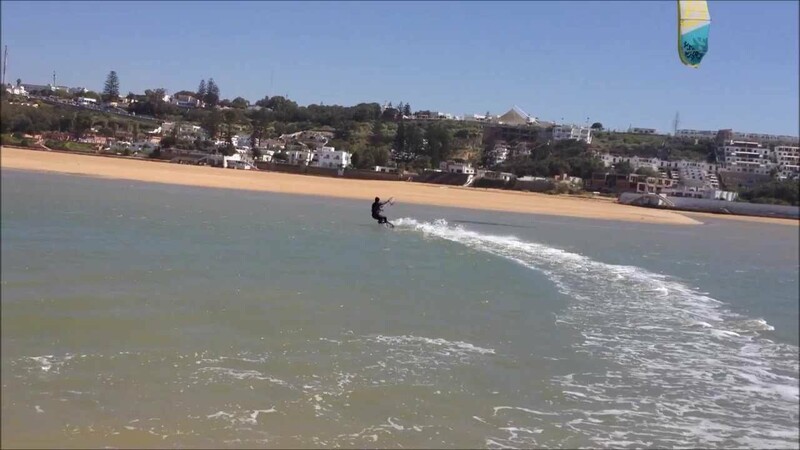 Whether you want to catch a world class wave or simply lie down and relax as the call to prayer reverberates through the arid Moroccan air, here are a few you shouldn’t miss. One of Oualidia’s many charms is its striking tidal lagoon. Teeming with bird life, the area is an oasis for flamingos, herons and storks, and with 320 days of sunshine a year and calm, safe waters, it’s easy to see why. Minimal restaurants line the beachfront, but quality is better than quantity and these restaurants are notorious for serving some of the best seafood for miles. The tranquillity here is palpable until you step over the sand bar that separates the lagoon from the Atlantic; here, you can prepare to experience some of Morocco’s wildest waves. Dubbed, ‘The Windy City of Africa’, this is not the best beach for sun chasers – unless of course you fancy sandcastles in your eyeballs and a constant ocean spray in your mouth. However, if you are the sporty type, then this is a prime location for kite surfing and wind surfing. There are many vendors offering lessons and rentals, meaning that all you have to do is turn up with a willing attitude. Due to the nature of this breezy beach, it is relatively free from cluttered towels and loungers, meaning that the walk along the rugged coast is all the more pleasurable. Widely recognised as one of Morocco’s most beautiful beaches, Sidi Bouzid boasts fine sand and crystal clear waters. The seaside town is annually ranked among the prestigious “Blue Flag” beaches for its high quality and admirable environmental standards. Additionally, the beach provides an international standard point break for surfers, with its regular, fast, and powerful wave being ranked among the top 10 in the world. When the wind conditions are right, the beach also becomes a haven for kite and windsurfers alike. Dakhla is over 1000km from Morocco’s infamous commercial tourist beach resort, Agadir, and it feels half a world away. A thriving fishing port nestled between immense sand dunes, Dakhla is one of Morocco’s best undiscovered secrets. It is the last major settlement in the southern sector of Morocco and lies in close proximity to the Sahara Desert. As a result, the location enjoys an all year round water temperature of 25°C, which means that all water borne activities can be enjoyed comfortably. This Mediterranean beach has seen a lot of development in the past years, but there is something about the 14 kilometre stretch of coast that allows it to retain its traditional Moroccan charm. Whether it’s the surrounding countryside landscape, the sparkling, turquoise waters or the scattering of eucalyptus trees that line the shore, something about Saidia presents an irresistible allure. The beach, which sits on the Algerian-Moroccan border, has been assigned the nickname the “Blue pearl” and is one of the longest beaches in Morocco.